Article from Silicon Valley Business Journal. Institutional Venture Partners’ Steve Harrick sees a lot of opportunity in the enterprise and B2B startup space and has a $1 billion fund that was raised last year to work with. His Menlo Park firm focuses on later-stage venture and growth equity investments, so it’s not the small fry they have their eyes on. IVP is looking for startups that already have $20 million to $30 million in revenue and the potential to grow that by tenfold or more. The firm had several big exits last year, including the $223 million IPO of CafePress and the $745 million sale of Buddy Media to Salesforce. Harrick took some time to speak to me this week about the startups that are exciting him today and why IVP often remains an investor long after a startup has gone public. There has been a lot said about a shift away from social and consumer-focused startups since Facebook’s IPO last year. What does that mean at Instiutional Venture Partners? IVP has always invested in enterprise companies and we’ve been investing since 1980. We’re on our 14th fund, IVP-14. It’s a billion-dollar fund and we’re just beginning to invest that. But enterprise has always been a mainstay of our investment effort. It ebbs and flows with budgets and where we see growth. But right now we’re seeing a lot of good activity in the enterprise space, a lot of innovation being brought to bear and the opportunity for new high-growth companies. So we’re actively investing there. Can you tell me a little bit about the companies that are exciting to you right now from your portfolio? There are a number of them. The most recent investment was AppDynamics. AppDynamics does application performance management. It’s really a very exciting area. The company allows anybody that’s creating an application to bug test it, to test it for security, to see if it can support high volume loads, all while they are designing the application. The reason that this is such an interesting space is that every enterprise has applications that reach out to customers that they use internally and that they connect to partners with. It’s a real competitive edge for companies that do it correctly. All the old stuff doesn’t support mobile. It doesn’t support the latest programming techniques. It’s long in the tooth. The market has been desperate for a more modern solution and AppDynamics really delivers that. We were really impressed with the growth the company has shown and just the massive demand for the product offering. A lot of our portfolio companies were already using AppDynamics. That’s how we found out about the company and it’s a space that right now is at about $ 2 billion market size. It’s growing and it’s a very good management team. So we’re excited to be part of it. Another one I understand you invested in last year is Aerohive. Oh, yeah. David Flynn is the CEO over there. It’s a great company to watch in Sunnyvale. It’s a next generation Wi-Fi company. What Aerohive did very early on is it realized that a controller can be costly and also is a choke point for an enterprise deployment. If your controller goes down, you can’t change configurations. A lot of the old vendors had built a lot of cost around the controllers, which increased the cost of deployment for a customer. Aerohive took that controller and put it in the cloud. You can manage your Wi-Fi deployments remotely from any computer. It doesn’t go down and their Wi-Fi deployments are enormously successful at scale. They’ve got a lot of enterprise and education and government customers. It’s a business that more than doubled last year and really one to watch going forward. Are you finding a lot more company these days looking at the enterprise and B2B space than there were a couple of years ago? Enterprise budgets have come back. People are recognizing that they have to refresh their technologies. They’ve got a lot of new demands in terms of supporting new trends in the enterprise. Take another one of our companies for example, MobileIron. It is a software company that solves the bring-your-own-device problem for businesses. People are bringing iPhones and Android phones into the enterprise and they’re viewing enterprise information. They’re putting things in a Dropbox account and they’re leaving with it. IT can’t control that and that is a big problem, particularly when you want to maintain rights and provisioning and state-of-the-art security and be able to track confidential information. So MobileIron’s products allow you to do all that. It allows you to push out patches, security, rules and provisioning. It allows you to take control of a mobile environment in the enterprise. Five, six, seven years ago, this wasn’t a problem. It just wasn’t happening. Now, it is and it is being driven by consumer behavior that has flown over to the enterprise. So people are saying, I have a budget for this. I have to spend. We have to be on top of these issues or it’s going to be a big problem for us. You know those kinds of trends are really unstoppable. Are there other trends you are watching? Another is Wi-Fi, which is being kind of taken for granted, how to be able to connect if I’m visiting your company or I’m in your auditorium or I’m having lunch in your corporate cafeteria. These are all things you need to have infrastructure for. You need to do it cost effectively. So these fund-smart entrepreneurs are seeing an opportunity and people are spending for it. As a venture capitalist, we look for those tailwinds in terms of budget because that allows you to grow. It accelerates the sale cycle. It becomes less of a missionary sale and that’s how you have rapid growth in businesses. It is different from five or six years ago. There are a lot of people paying attention to it. There is a lot said about the consumerization of IT, the trend where shifts in consumer technology is requiring IT departments and enterprises to change how they do things. It’s a massive change in behavior. Enterprises are organizations that are comprised of employees that have jobs to do. Their behaviors change and the enterprises have to change with them. There is also a lot of talks about what is being described as Network 2.0, involving things like software-controlled networking and flash storage. Are you guys involved in that at all? On the network side, a lot of that is cloud computing and services around the data center. We are involved in that. We invest in a company called Eucalyptus Systems, which is the leader in hybrid cloud deployment. They allow you to manage and test software on your own premises and switch seamlessly back and forth between Eucalyptus and the Amazon Cloud. Cloud computing is still an area where people are trying to figure out exactly what their needs and specs are. It’s still early in the market. But there have been some large successes that have kind of changed behavior. Salesforce is one of those. Salesforce is widely deployed. It really took customer relationship management and managing your sales force to the cloud. They’ve offered additional cloud applications and people have gotten used to paying by subscription. That’s also a change from seven or eight years ago, when everything was license dominated. The old world was you paid for licensing and maintenance, 80-20. That was what you paid. Those are perpetual licenses and they were often expensive. Sometimes, they were underutilized or never deployed and the world gradually shifted to paying on subscription. Customers like it because they say, hey, if I’m not using it, I can turn it off. I don’t have to renew. The vendors like it because it’s a more predictable revenue stream. You’re no longer biting your nails at the end of each quarter to figure out if you’re going to get those two or three deals that are going to make or break your quarter. You get a lot of smaller deals that recognize revenue monthly and that provide a more predictable business and that have been a reward in the public markets. Networking and application functionality is being delivered that way now. The economics have changed and I think that is a very exciting trend. I think it leads to more sane management for software businesses. How about the security? Are you into that at all? We are. We were investors in ArcSight, which Hewlett-Packard bought. That was an example of a dashboard for enterprise security. We’ve been involved with a number of other security companies. I think two to watch are Palo Alto Networks and FireEye. We aren’t investors in either of those, but they’re both very good companies. We’re looking at a lot of security companies currently. The challenge with security is that it can often be a point solution and a small market. To be a standalone security company, you really have to have a differentiated broad horizontal functionality that could stand on its own. You can’t have customers saying, I want that, but it’s a feature and should be delivered with a bunch of other things. A lot of small companies fall into that trap in security. So we’re on the lookout for the broader security places that you know really can get the $50 million, $75 million or $100 million revenue. Have there been any companies that you passed on that you wished maybe in retrospect you hadn’t? The ones that got away? Yeah, you know, there always are. That would be the anti-portfolio. You run into those things and you try to see what you learn from it. Sometimes, they’re very hard to anticipate. We passed on Fusion-io, the Salt Lake, Utah, flash drive memory company. They have done well, but I think they have fallen off recently in the public markets. That one would be in the anti-portfolio. We also looked at Meraki. Cisco bought them for $1.2 billion, more than 10 times revenue. It’s hard to predict when somebody’s going to buy a company at that kind of multiple. We believe Aerohive is the superior company. That’s why we invested in Aerohive instead of Meraki. You can’t really invest in both. They’re competitors. Then there was Yammer, which was acquired for $1.2 billion. That was also a company we were familiar with, good technology acquired for huge multiple of sales and it was hard to predict that happening, too. So I wish all those guys well. Sometimes you miss on big returns like thoses, but we like the investments that we have made. What is it that you’re looking for at the top of your list when you’re considering a company that you might invest in? Well, you know, the old adages in venture capital have some merit in them. But things change and you can’t rely too much on just pattern recognition. There’s always seismic shifts in technology where old assumptions have been disproven. You have to adapt to those. But the adages that do hold are quality of management. We really look for companies and management teams that can take a company to $50 million to $500 million in revenue. That’s a very mature skill set. They have to show the ability to hire, the ability to supplement the businesses, to attract great board members and to build a company that can be public. There are a lot of demands on being public today. The industry is still dominated by mergers and acquisitions, as it always has been, for exits. Probably about 80 percent of the exits happen from M&A. But we really look to exceptional management teams that we can be in business with for many, many years. How does being a later stage investor change what you are looking for? We have a long-time horizon for investment. We often hold after a company goes public and even invest in the company after it’s gone public. That’s in our charter. So we really look for these management teams that are really exceptional and deep. As a late stage investor, you can’t really invest in small market opportunities. The early stage can do that, and they can exit nicely. You know they can invest $10 million valuation, the company sells for $60 million and they do great. When you’re investing at a later stage, you know looking for companies that have $20 million or $30 million of revenue so the valuation is higher and you have to get these companies to a higher exit value to get a great return. So you have to able to identify large market opportunities and AppDynamics, Aerohive, MobileIron, Spiceworks, all have really large market opportunities. That’s why we’re excited about them. Interviewer: Tell me a little bit more about the philosophy of holding on to companies after they’ve gone public. Our perspective is that going public is a financing event. It’s also a branding event for a company. It raises awareness. It creates liquidity in the stock. But valuations fluctuate with market conditions. We say this is just the beginning of growth. That valuation that it’s at now may not be the right place to exit . If you look back historically, venture capitalism left a lot of money on the table by exiting companies prematurely. You know if you exited when Microsoft or Apple or Cisco went public, you probably left a 10X, 20X, or 50X return on the table by doing so. Obviously, that requires a lot of judgment. Not every company is going to be an Apple or a Cisco. So that’s a judgment call and when we make the judgment that there’s a lot of growth ahead and the current valuation doesn’t reflect that, we’re happy holders. We establish price targets for exit and when it reaches that price target, we make a new assessment. We do have to exit eventually, but we raise 10-year funds and our holding period is typically 3 to 5 years and then oftentimes its 5, 7, 8 years. Is there a specific example to illustrate this from your portfolio? Sure. One would be HomeAway. HomeAway is a remarkable business. People list homes on the website. If you’re traveling with your two kids, you get a home for 800 bucks for the week and you would’ve paid 500 bucks a night for a hotel. It’s a great service. It’s public. We invested, my gosh, about five years ago and we’re still holding that stock. Despite concerns that Kickstarter wonder Ouya, an Android-based TV gaming console, might not deliver, the project is hitting its deadlines with the release on Friday of 1,200 developer consoles. Ouya announced that the development kits were being shipped to developers, who can also access the Ouya SDK (ODK) online under a free Apache license. The release of the hardware and software should give developers time to prepare games for the platform, which is expected to be released to the public around March. That’s still the milestone that everyone will be watching but the signs look good for Ouya to make it there. The company has been under a lot of scrutiny since it debuted as a Kickstarter project in July. The $99 console, built off the Android platform, raised $8.6 million from more than 63,000 backers. That has raised expectations and also concerns about whether the system is for real and can deliver as promised. We chatted with CEO and founder Julie Uhrman shortly after the launch — she assured us that it wasn’t rocket science putting Ouya together and that she was confident Ouya will hit the market by this spring. The developer console still has plenty of bugs, Ouya has warned developers, and the triggers and D-pad on the controller are not final. 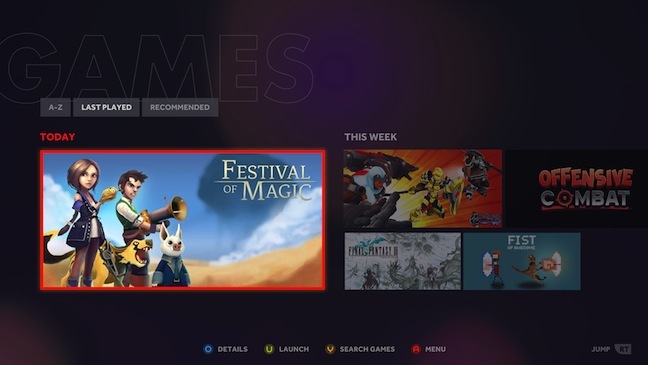 Developers will also get a look at an early version of the console UI. Following a recent CNN report that most of the biggest Kickstarter projects were shipping late, it’s nice to see that Ouya is keeping to its promise. We still don’t know what the quality and experience is like and what the game library will ultimately be. And as Kickstarter has pointed out, it’s not always important that projects ship on time if the end result suffers. But this thing looks like it’s for real. It’s suddenly a lot harder for venture capitalists and startups to raise funds, as investors fed up with low returns turn their backs on the sector. Most industry observers agree that lots of young firms will simply not be able to raise their next round of funding, commencing a period of belt tightening, consolidation and closures. At a minimum, it seems to mark the beginning of a more level-headed investment climate in Silicon Valley, after years of insatiable lust for all things mobile and social. But if the drop-off is too sudden and steep, this new austerity could spill over into an economy highly dependent on the tech sector. Indeed, as The Chronicle reported last week, the industry has an enormous impact, with each tech job creating 4.3 indirect jobs in the community, according to a Bay Area Council Economic Institute report. The investors and venture capitalists I spoke to insisted that we’re not on the verge of anything like the dot-com meltdown, characterizing the shift as a minor and healthy correction, or a “rationalization.” One suggested it was little more than the usual process of separating good and bad ideas in the marketplace. But the numbers suggest something new is afoot. In the third quarter, the amount that U.S. companies raised in venture capital dropped 32 percent from the prior year, according to Dow Jones VentureSource. Venture capital funds themselves raised 17 percent fewer dollars from the second to third quarter, even as the number of funds grew, according to a joint report from Thomson Reuters and the National Venture Capital Association. Some partially blame the economic uncertainty surrounding the outcome of the election and the “fiscal cliff.” But the main problem seems to be that many of the “limited partners” that fund venture capital are pulling back after years of frustration. Ever since a brief period in the late 1990s when venture capital burned bright, the industry has been delivering consistently weak returns on the whole. In fact, despite requiring greater risks and larger capital outlays, venture capital has been underperforming the stock market over the past decade, according to a report this year by the Ewing Marion Kauffman Foundation. Joe Dear, chief investment officer for CalPERS, told Reuters this summer that venture capital “has been the most disappointing asset class over the past 10 years as far as returns.” The huge pension fund for California’s public employees didn’t return repeated calls from The Chronicle. Investment horizons have steadily spread out, from five to 10 to sometimes 15 years, as exit opportunities like acquisitions and initial public offerings fail to materialize. This has sometimes forced investors to put in more money to protect their initial funds. Some of this is due to macroeconomic conditions outside the control of venture capitalists, notably the housing and banking crises. But at least some of it has to do with poor picks and herd mentality, funding companies with few real prospects and driving up the entry price for legitimately promising companies beyond what they could pay off. Even the grand promise of Web 2.0 companies that lured so much recent money hasn’t generated the hoped-for returns. The ones that managed to go public were often disappointments, including Facebook, Zynga and Groupon, in some cases leaving late-stage investors underwater on their holdings. That was a final straw for some. Last week, Forbes dug up figures from CB Insights that highlighted a wide and growing gap between the number of companies that raised initial funding and companies securing the follow-on investments, known as a Series A, generally necessary to keep going. This year, there have been 1,747 seed or angel rounds but only 688 Series A deals, underscoring the coming crunch. Based on as scientific a survey as the PR pitches in my inbox, there’s a tremendous number of silly, redundant and poorly executed companies out there that don’t warrant additional funding. The real problem isn’t that many of these companies won’t raise more money; it’s that they raised money in the first place. For the venture capital industry to get back on track, it needs to embrace a renewed sense of discipline – on company picks, deal terms and total spending. But hope springs eternal in Silicon Valley. Rothrock stresses that the industry’s trend-line averages mask very strong results and ongoing investment at top firms, as well as growing venture capital activity among corporations like Google. Companies are just being more selective and looking beyond consumer Internet opportunities. “We’re steady as she goes in terms of funding enterprise,” he said. Swildens oversees a secondary fund that buys shares from limited partners and venture firms looking to liquidate part of their holdings. He sees this period as a ripe opportunity for bold investors to get into promising companies at suddenly reasonable rates. “Ours is one of the few firms aggressively putting money into these funds,” he said. Mark Heesen, president of National Venture Capital Association, is similarly optimistic. He says the industry could be primed for a strong comeback in 2013, as long as the broader economy strengthens. Above all, what the industry needs are some wins – acquisitions or initial public offerings that put investors clearly in the black and start to restore some lost confidence. “If we see these exit markets start to generate good returns, I think you’ll see limited partners look at this asset class again,” he said. Chinese auto tech behemoth Wanxiang has won the bidding process in an auction to buy the assets of bankrupt battery maker A123 Systems. On Sunday the companies announced that Wanxiang plans to acquire most of the assets of A123 for $256.6 million. It’s news that could be a bit controversial, given A123 received a $132 million grant from the U.S. government, and could now be owned by a Chinese company. The winning bid beat out Johnson Control’s bid to acquire A123′s automotive division. Johnson Controls previously had offered to buy the automotive division and two factories for $125 million. One of the reasons Wanxiang’s offer to buy up A123 had been controversial was because A123 had some U.S. military contracts, which critics didn’t want to see in the hands of a Chinese company. But A123 decided to sell off its government business, including all its U.S. military contracts, to Illinois-based company Navitas Systems, for $2.25 million. Wanxiang acquired the rest of the assets including the grid storage business. We’ll see if that move silences politician critics like U.S. Sens. John Thune (R-S.D.) and Charles E. Grassley (R-Iowa). The deal still has to be approved by the bankruptcy court as well as the Committee for Foreign Investment in the United States (CIFIUS). If approved, the future of A123 System’s lithium ion battery tech will fittingly be owned by a Chinese auto giant, as China is increasingly becoming one of the most important markets for electric vehicles. Money from Chinese investors, conglomerates, cities and the government, continues to drive a significant amount of the future of next-generation electric car technology. The deal also provides a future for A123′s technology, which had a promising beginning, but had suffered a series of setbacks in 2012. Venture-backed A123 held the largest IPO in 2009, raising some $371 million, and was trading at over $20 per share when it started trading. A123 also raised more than $350 million from private investors when it was still a startup. Yet in recent months, it suffered from manufacturing problems, and also had only a handful of customers for its premium batteries. The company had been losing boat loads of money for years. Because the total purchase price for A123’s assets would be less than the total amount owed to creditors, the Company does not anticipate any recoveries for its current shareholders and believes its stock to have no value. Now that the A123 bankruptcy is moving forward, it will be interesting to see what Fisker Automotive, one of A123′s prime customers, will do. Fisker had told the media that it is waiting for the results of the A123 auction before it starts back up assembling its Karma cars. This isn’t Wanxiang’s first cleantech and clean energy acquisition — it’s actually its fifth in 2012, says the company in a release. Wanxiang has been aggressively acquiring under valued American cleantech and clean energy companies. Cisco has announced it plans to acquire Cloupia for $125 million. The software company helps customers automate their data centers. Cisco sees Cloupia’s infrastructure management software enhancing its Unified Computing System (UCS) and Nexus switching portfolio. Cisco expects Cloupia will help better manage the automation of compute, network and storage as well as virtual machine and operating system resources. Cisco UCS is a converged infrastructure play. Cisco has made a big bet on providing converged infrastructures that consolidates compute, storage and networking into one box. IT wants to decrease its data center dependency. Vendors like Cisco, EMC and IBM see converged infrastructures as a way to sell their hardware into the enterprise. Investing in these systems has its costs for IT. The systems are pricey and create a lock-in with one vendor. Cisco’s acquisition of Cloupia benefits Cisco’s Data Center strategy by providing single “pane-of-glass” management across Cisco and partner solutions including FlexPod, VSPEX, and Vblock. Cloupia’s products will integrate into the Cisco data center portfolio through UCS Manager, UCS Central, and Nexus 1000V, strengthening Cisco’s overall ecosystem strategy by providing open APIs for integration with a broad community of developers and partners. The post is a window into Cisco’s data center strategy. Like other big enterprise software companies, Cisco partners with companies such as NetApp and VMware to sell its solutions through its extensive sales channels. Sandy isn’t just wreaking havoc for utilities and conventional power plant companies on the east coast. The hurricane is also delaying some solar power plant project work for First Solar, which on Thursday reduced its 2012 sales forecast and also boosted its earnings projection. The Arizona-based company said the hurricane is also disrupting the supply of components for its solar products, which include panels and trackers that prop up the panels and tilt them to follow the sun’s movement throughout the day. For 2012, First Solar now expects to generate $3.5 billion to $3.8 billion in sales — previously it was looking at $3.6 billion to $3.9 billion. Non-GAAP earnings should hit $4.40 to $4.70 per share, however, instead of $4.20 to $4.70. The company issued the forecast along with its third-quarter financial results, which saw its sales decline year-over-year sales to $839.1 million from $957.3 million. First Solar posted a net income of $1 per share for the third quarter, down from $2.25 per share in the same period a year ago, thanks to charges related to its restructuring efforts to reduce costs. But still, a profit in a difficult year. “The solar market remains challenging, but we are continuing to gain traction in the new sustainable markets we’re targeting and expanding our global presence,” said Jim Hughes, First Solar’s CEO, during a conference call with analysts. First Solar executives highlighted the progress they have made in opening up new markets. The company has vowed to build its business in places with minimal government subsidies, which so far have been responsible for the rise of the global solar market. Europe has been the largest market, but the pace of its growth will likely slow over time as governments gradually reduce their incentives. During the third quarter, the company announced it was chosen to build a 13 MW power plant for the Dubai Electricity & Water Authority. First Solar inked deals to sell its cadmium-telluride solar panels for a 25 MW project in the state of Rajasthan in India and for two other projects totaling 50 MW in the same state. The company also signed a memorandum of understanding with a power plant operation and maintenance company in Indonesia to work on 100 MW of projects. First Solar also hired Bruce Yung as its China manager during the third quarter. The company tried to crack the Chinese market before but hasn’t seen much success. Although China presents lots of opportunities, its government also is keen on boosting the domestic market for Chinese solar manufacturers. 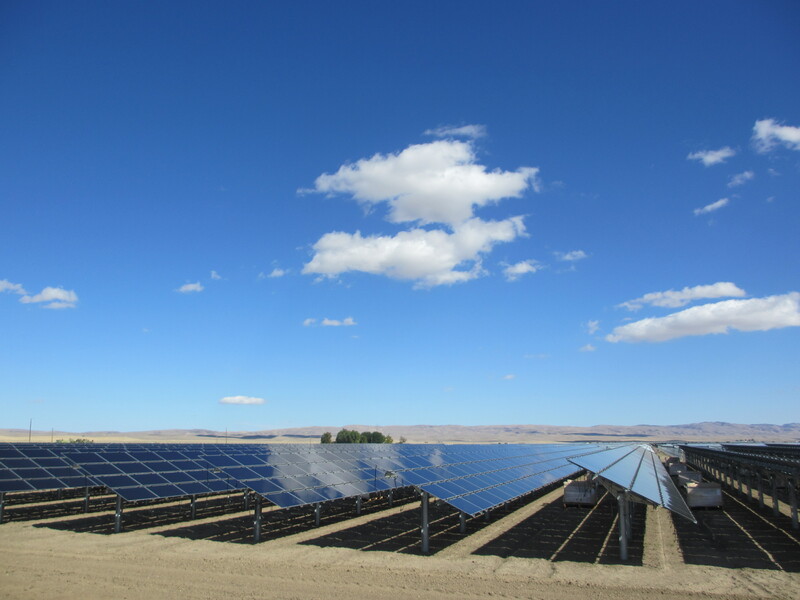 In recent years, First Solar has been building its power plant development expertise and amassed an impressive pipeline of projects under development. That business is more lucrative – the company can make money from developing, building and operating solar power plants (for owners it sells the power plants to) that use its own solar panels. The company is building the largest solar power plant project in the U.S. – the 550MW Topaz Solar Farms in central California. The vast majority of the 3 GW of projects under development that it’s inked power sales agreement contracts for are in North America. Now the company’s hope is to develop solar power plants in other parts of the world. First Solar has no intention of conquering the rooftop segment – its panels are less expensive but also less efficient at converting sunlight into electricity as other major brands. That means an array with First Solar’s panels will take up more space than the one with more efficient solar panels. Hughes also told analysts that the rooftop market has less brand loyalty and cares less about how well the solar panels will perform over decades. Photos of Topaz Solar Farms by Ucilia Wang. Apple fired the executives in charge of the company’s mobile software efforts and retail stores, in a management shake-up aimed at making the company’s divisions work more harmoniously together. The biggest of the changes involved the departure of Scott Forstall, an Apple veteran who for several years ran software development for Apple’s iPad and iPhone products. Mr. Forstall was an important executive at the company and the one who, in many respects, seemed to most closely embody the technology vision of Steven P. Jobs, the former chief executive of Apple who died a year ago. But Mr. Forstall was also known as ambitious and divisive, qualities that generated more friction within Apple after the death of Mr. Jobs, who had kept the dueling egos of his senior executives largely in check. Mr. Forstall’s responsibilities will be divided among a few other Apple executives. While tensions between Mr. Forstall and other executives had been mounting for some time, a recent incident appeared to play a major role in his dismissal. After an outcry among iPhone customers about bugs in the company’s new mobile maps service, Mr. Forstall refused to sign a public apology over the matter, dismissing the problems as exaggerated, according to people with knowledge of the situation who declined to be named discussing confidential matters. Instead, Timothy D. Cook, Apple’s chief executive, in September signed the apology letter to Apple customers over maps. Apple said in a news release on Monday that the management changes would “encourage even more collaboration” at the company. But people briefed on Apple’s moves, who declined to be identified talking about confidential decisions at the company, said Mr. Forstall and John Browett were fired. Steve Dowling, an Apple spokesman, said neither executive was available for an interview. Mr. Forstall did not respond to interview requests over e-mail and Facebook. Mr. Browett, who took over as head of the company’s retail operations in April, will also leave the company after a number of missteps. Apple said that a search for a new head of retail was under way and that the retail team would report directly to Mr. Cook in the meantime. Mr. Forstall will leave Apple next year and serve as an adviser to Mr. Cook until then. Eddy Cue, who oversees Apple’s Internet services, will take over development of Apple maps and Siri, the voice-activated virtual assistant in the iPhone. Both technologies have been widely criticized by some who say they fall short of the usual polish of Apple products. Jonathan Ive, the influential head of industrial design at Apple, will take on more software responsibilities at the company by providing more “leadership and direction for Human Interface,” Apple said. Craig Federighi, who was previously in charge of Apple’s Mac software development, will also lead development of iOS, the software for iPads and iPhones. Recently, Mr. Mansfield had been working on his own projects at the company, operating without anyone reporting to him directly. One of the areas of interest Mr. Mansfield had been exploring is health-related accessories and applications for Apple’s mobile products, said an Apple partner who declined to be named discussing unannounced products. Mr. Forstall was a staunch believer in a type of user interface, skeuomorphic design, which tries to imitate artifacts and textures in real life. Most of Apple’s built-in applications for iOS use skeuomorphic design, including imitating thread of a leather binder in the Game Center application and a wooden bookshelf feel in the newsstand application. Mr. Jobs was also a proponent of skeuomorphic design; he had a leather texture added to apps that mimicked the seats on his private jet. Yet most other executives, specifically Mr. Ive, have always believed that these artifacts looked outdated and that user interface design on the computer had reached a point where skeuomorph was no longer necessary. Mr. Forstall, who trained as an actor at a young age, also shared with Mr. Jobs a commanding stage presence at events introducing Apple products, often delivering his speeches with a pensive style that echoed that of Mr. Jobs. According to two people who have worked with Apple to develop new third-party products for the iPhone, the relationship between Mr. Forstall and Mr. Ive had soured to a point that the two executives would not sit in the same meeting room together. A senior Apple employee who asked not to be named said Mr. Forstall had also incurred the ire of other executives after inserting himself into product development that went beyond his role at the company. One person in touch with Apple executives said the mood of people at the company was largely positive about Mr. Forstall’s departure. The departure of Mr. Browett was less surprising to outsiders. In August, the company took the unusual step of publicly apologizing for a plan by Mr. Browett to cut back on staffing at its stores. Charlie Wolf, an analyst at Needham & Company, said he was never convinced that Mr. Browett was a good choice to join Apple because he had previously run Dixons, a British retailer that is viewed as being more downmarket than Apple’s retail operations.